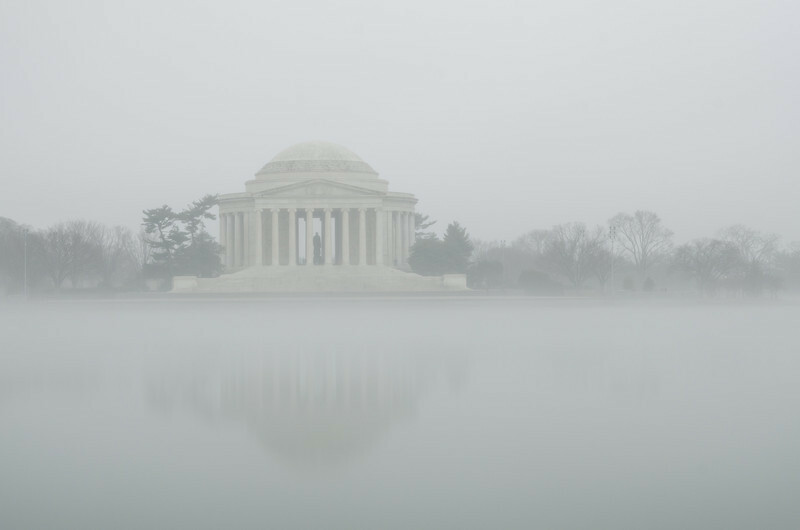 The Jefferson Memorial as seen across the Tidal Basin on a foggy January day. 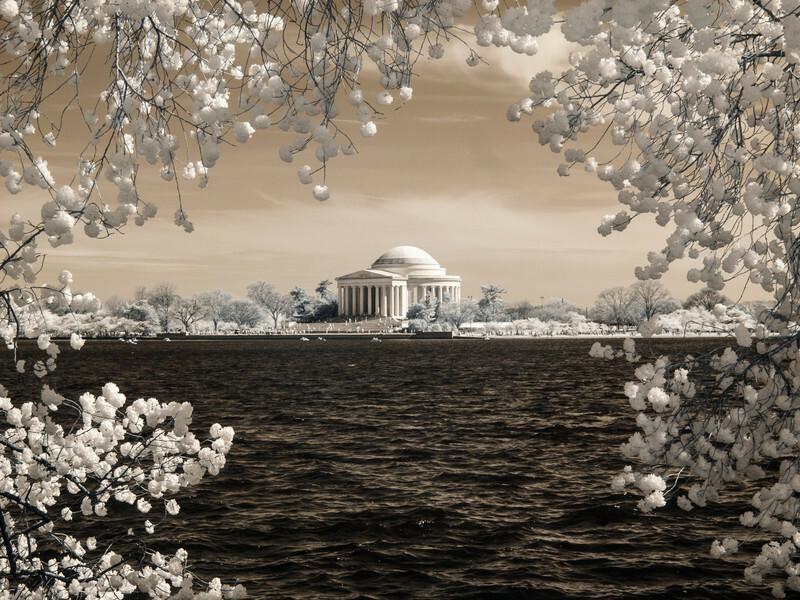 Cherry Blossoms framing the Jefferson Memorial at the Tidal Basin, Washington, DC. 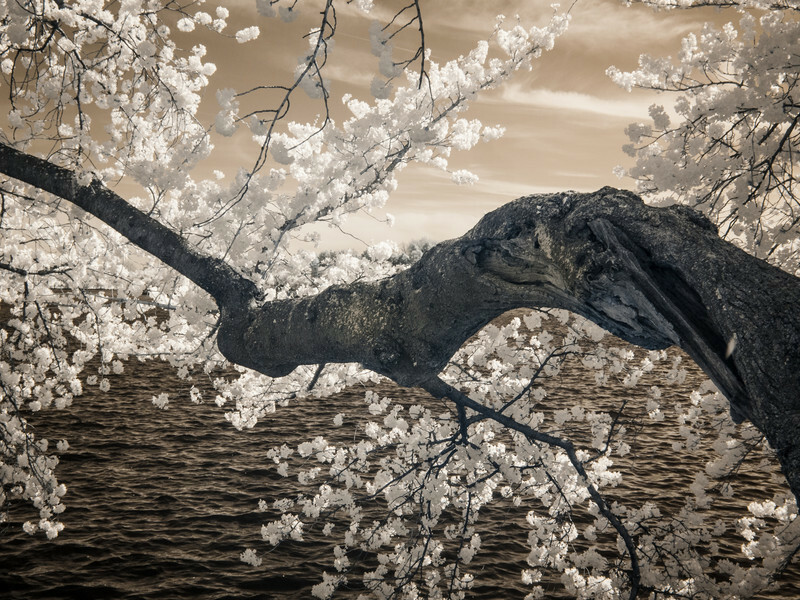 Taken with an Olympus EP-2 with LifePixel Standard Infrared conversion.